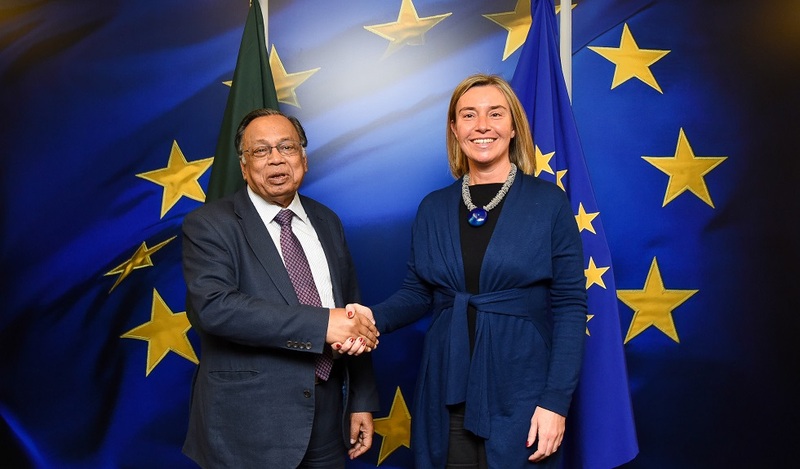 Federica Mogherini, High Representative for Foreign Affairs and Security Policy/Vice-President of the European Commission, met today in Brussels with the Minister for Foreign Affairs of Bangladesh, Abul Hassan Mahmood Ali. The meeting was an opportunity to discuss ongoing efforts to address the situation of the Rohingya, over 670,000 of whom have fled Myanmar for Bangladesh in recent months. The High Representative/Vice-President stressed her appreciation for the generous and humane role and action of the government and the people of Bangladesh, and reiterated that the European Union is fully mobilised politically and through extensive humanitarian assistance to help bring about a positive outcome. In this context, the bilateral agreement reached between Bangladesh and Myanmar on the repatriation of the refugees should allow for a voluntary, safe and dignified return to their places of origin. High Representative Mogherini recalled the need for the United Nations High Commissioner for Refugees to be fully associated with the process. The High Representative informed the Minister of the Council Conclusions on Myanmar, covering the situation of the Rohingya, adopted on the 26 February by the EU Ministers of Foreign Affairs. The discussion also touched upon the EU-Bangladesh relations, including the political situation in Bangladesh.